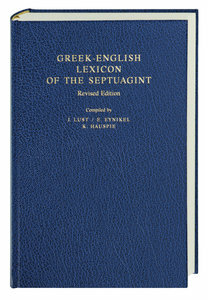 The Greek-English Lexicon of the Septuagint provides a thorough research tool for the study of the Septuagint. It presents the vocabulary of the revised edition of the Septuagint, offering English equivalents and discussing special cases in which the Septuagint differs from the masoretic text. About "Greek-English Lexicon of the Septuagint"